All three Toy Story movies rely heavily on the name-on-your-boot motif—both visually and in dialogue. This motif is set in the context of all toys’ basic desire: to be played with. Rex isn’t the most ferocious dinosaur. Just moments before, he tried to “scare” Woody—to no effect. (Of course, Rex is forgetting that in Andy’s hands he is ferocious; he is Woody’s force-field-eating dinosaur!) The possibility of a dinosaur who is actually mean threatens Rex’s existence. For these toys, every birthday and Christmas is no celebration, it is a time of uncertainty and potential death—“next month’s garage sale fodder” as Hamm pessimistically calls it. Apparently as he does every birthday and Christmas, Woody reminds the toys that they are Andy’s, and they should rest in that assurance. “Hey, listen, no one’s getting replaced. This is Andy we’re talking about. It doesn’t matter how much we’re played with. What matters is that we’re here for Andy when he needs us.”Ironically, after implying that the toys’ worth is not rooted in utility (that is, how often they’re played with), Woody irritatedly yanks the toy mic, Mike, along as he walks closer to the assembled toys. For Woody, Mike’s worth is rooted in his utility. It’s easier for Woody to say “we need to be there for Andy” because he is the one that gets played with the most. 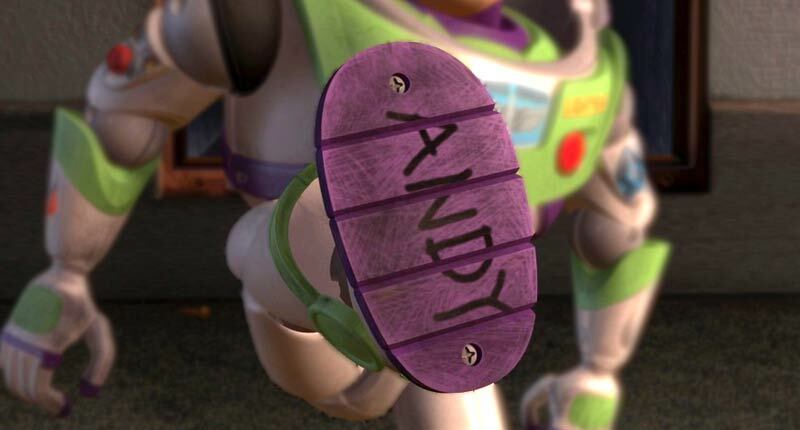 That is the reminder and meaning of Andy’s name scribbled on the toys’ boots or feet. Each one is Andy’s. This defines who they are and what they do. This is highlighted by the first explicit use of the name-on-your-boot motif. Buzz approaches Slinky Dog and Rex, saying: “Say there, Lizard and Stretchy Dog. Let me show you something. It looks as though I’ve been accepted into your culture. Your chief, Andy, inscribed his name on me.”In comparison, see Ezekiel’s prophecy about the new covenant, Ezek 36:22-38. Out of concern for his name, YHWH will place his own Spirit in his people (see further Acts 2:1-4; 10:44-48). Later in Toy Story Woody and Buzz together (re)discover the rich significance of the name on their boots. Woody is imprisoned; Buzz awaits his execution by rocket. After Buzz laments, “I’m not a space ranger. I’m just a toy. A stupid, little, insignificant toy,” Woody begins to exegete what it is to be a toy for Buzz. During Woody’s monologue on true toyness, Buzz looks down at his foot, seeing “ANDY” covered in grime and dirt. He touches the name. Now knowing who he is, Buzz is able to do what he must. Buzz, Woody, and Sid’s tortured and mangled toys get Buzz and Woody out of Sid’s clutches and back to Andy. This thick meaning of the name is carried into the next two Toy Story films. In Toy Story 2, as Woody frantically searches for his hat so that he won’t be left behind for cowboy camp, Bo Peep commands him to look under his boot. But Buzz and his search party find Woody and remind him that “it’s only worth living if you’re being loved by a kid.” Although Woody initially demurs to Buzz’s exhortation, while listening to his own voice sing “You’ve Got a Friend in Me” on his show, he scratches off the paint covering Andy’s name on his boot and resolves to return. Even though Andy is growing up, Woody gladly accepts his impending obsolescence because “this is what it’s all about: to make a child happy.” To do that it’s worth risking anything even for one day with Andy (compare with Ps 84). In Toy Story 3, Andy’s toys believe that they are confronted with a conundrum: choose to be Andy’s or to be played with. As Andy prepares to leave for college the toys think they will either be thrown away or placed in the attic—neither of which they’re excited about. Mr. Potato Head even wonders if not existing might be better than the attic, than not being played with: Choosing utility over identity, Andy’s toys lose both. “Andy doesn’t want us! What’s the point?” Woody commits to being Andy’s, whether that means going to college, the attic, or the trash; the other toys commit to being played with at Sunnyside Daycare. “Only in the hands of Andy does Woody become a real cowboy,” Mockingbird’s Todd Brewer and David Zahl observe. 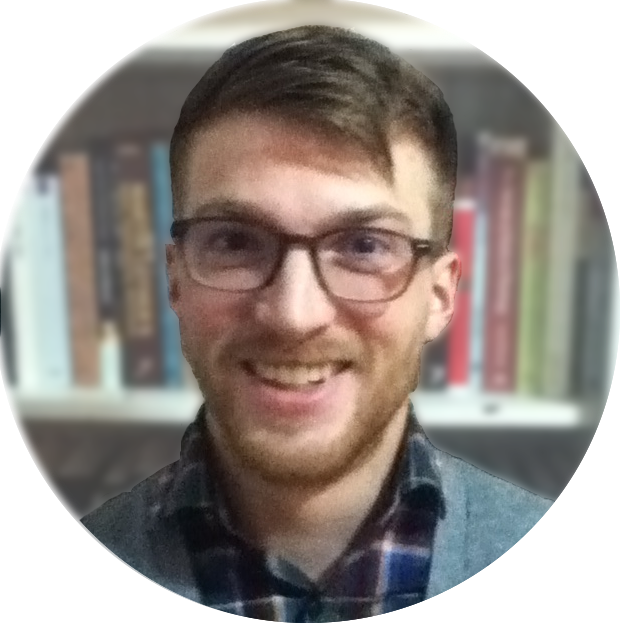 “Andy’s loving hands make Woody and Buzz [and all his toys] who they are designed to be.”Todd Brewer and David Zahl, The Gospel According to Pixar, 58. But if they try to exercise agency outside of this confession they are lost or abused. Only by submitting themselves to Andy their owner do they have the freedom to be who they are. Paradoxically, in this submission the toys fully experience their own agency. As Bonnie’s toy unicorn Buttercup informs Woody: “We do a lot of improv here. 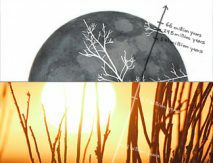 Just stay loose, have fun, you’ll be fine.” There are rules to this improvisation, but in those rules there is freedom.On theology as improvisational, see Kevin Vanhoozer, The Drama of Doctrine: A Canonical-Linguistic Approach to Christian Theology. This resonates on a deep level with the Bible’s claims about human beings’ relationship to Jesus of Nazareth. According to Paul’s baptismal theology in his Epistle to the Colossians, every person’s identity and work are rooted in “a circumcision made without hands—by putting off the body of the flesh, in the circumcision of Christ you have been buried with him in baptism, in which you too were raised with him through faith in the powerful working of God, who raised him from the dead” (Col 2:11-12). Through union with Christ through the Spirit human beings participate in the victory of his disemboweling of sin, death and the devil.Here I’m thinking of Johann Agricola’s vivid sermons on Colossians, especially his description of Christ as a mongoose: “Christ encrusted himself in muck and the one and only Son of God became man, acting just like other people. Then the devil scurried to him, playing with him like a cat with a mouse. The devil showered misery over him, wanting to recapture the records of debt, death opens its throat, seeking to swallow him, the poor little worm. Christ remains still, waiting for the game to end, when he enters death’s throat, then he tears apart death’s jawbones, knocking out its evil teeth, drilling through its stomach and killing it” (Graham Tomlin, ed., Philippians-Colossians, Reformation Commentary on Scripture New Testament 11, 194). Having died with Christ, put to death whatever is earthly in you (Col 2:20-23; 3:5-11); having been raised with Christ, clothe yourself in him—his identity and works (Col 3:1-4, 12-17). Through this obedience comes true freedom. “As Son, Jesus brings a new freedom,” Joseph Ratzinger reminds us. “Not the freedom of someone with no obligations, but the freedom of someone totally united with the Father’s will, someone who helps humankind to attain the freedom of inner oneness with God.”Joseph Ratzinger, Jesus of Nazareth: The Infancy Narratives, 120-21.